Cross-posted to jokaydia.com Leigh Blackall's work on the islands of jokaydia in Second Life is truly inspiring. We've had many discussions since he agreed to take part in my Virtual Classroom Project and it's been fascinating to observe his progress. 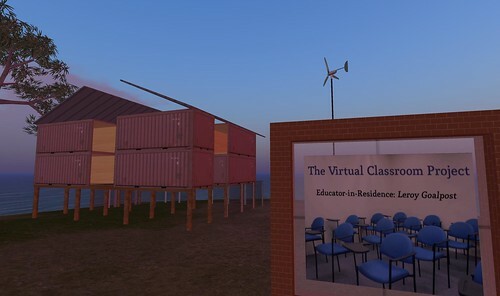 I envisioned the Virtual Classroom Project as an opportunity to explore alternatives to our traditional notions of teaching, learning, and, specifically, learning space design. I'm pleased that Leigh, the project's first Educator-in-Residence, has taken up that challenge by sharing a unique and thought-provoking concept. I cannot wait to see the finished project and am looking forward to further discussions with Leigh. 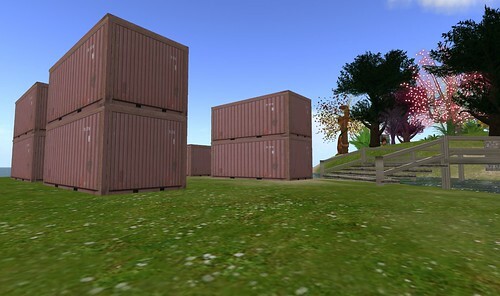 Before I delve into my first reflection on his work, I'd like to encourage you to follow his progress and take part in a virtual workshop that Leigh and I will be hosting this weekend on the islands of jokaydia, the home of the Virtual Classroom Project. 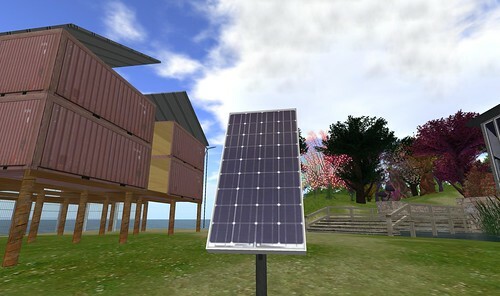 As soon as Leigh announced his plans for a virtual prototype of a learning space based on the principles of permaculture design I was hooked. I realized that, to Leigh, the Virtual Classroom Project presented an opportunity to address learning as a fundamental part of our daily existence. "Leigh's ideas," I wrote in my project notes, "suggest that he wants to explore the process of de-institutionalizing learning. He seems interested in asking why learning cannot be grounded in informal places, places that we take for granted, such as our homes." But Leigh took this one step further. If our place of residence is to serve as a focal point of learning in our lives, then we need to start asking ourselves some crucial questions about the kinds of places we inhabit and the relationship between those places and the environment. In other words, Leigh believes that the process of de-institutionalizing learning cannot lead to creating places that are as insensitive to the natural world around them as the big institutions that currently dominate our lives and, specifically, education. One could extend this argument and ask "What exactly are children learning in a school that does not have a recycling programme? What are they learning in a building that's surrounded by concrete?" I think that Leigh's project effectively addresses both of these questions. they are readily available for reuse, reasonably cheap, structurally sound, transportable (obviously), durable, and come in remarkably good dimensions for proportioning an efficient living and working space. 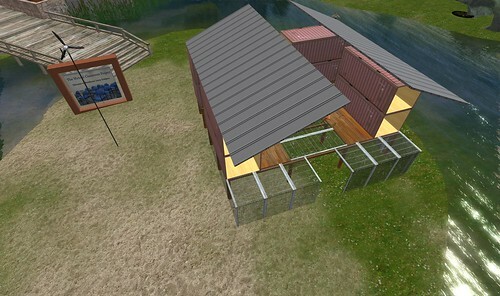 family house that is large enough to host 15 or so people from time to time, but practical as a family home; that is fully self sufficient in providing for its own energy, water and food needs; that is a system that produces no waste; and that uses building materials and structures that are reused, portable and make minimal impact on the area being occupied. efficient use of space and resources; space design that is conducive to inquiry learning and skills training; and [...] every single aspect serving some form of opportunity for learning. Let's think about this carefully - "every single aspect serving some form of opportunity for learning." What this means to me is that Leigh wants his family home to be more than just walls. The physical space here is not designed to be a mere container for teaching and learning. Instead, the space he's building is a kind of portal where every aspect of its design can lead an inquiring mind to discoveries about sustainability, permaculture design, or the environmentally friendly lifestyle. 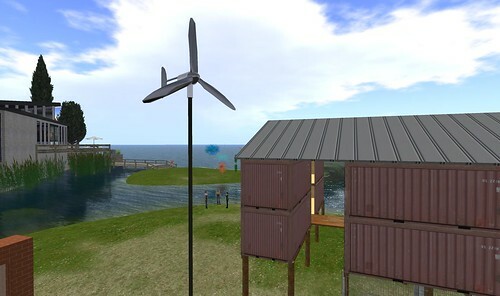 For example, the solar panels that he's planning to use and the small wind turbine already in place can lead to an interesting discussion on energy consumption. The shipping containers, the very walls of the house, can lead to a discussion on reusing and recycling. The roof of the dwelling and the glass floor panels inside the house can lead to a discussion on the importance of natural light and the need to reduce our dependence on electricity. In short, the building itself provides numerous opportunities to discuss our ecological footprint and engage in discussions about the environment and eco-friendly lifestyles. Now, the question is, where would you rather learn about all of this - in a sterile classroom that looks like all the other classrooms around the world, or in a unique family home built upon the principles of permaculture design? Would you rather learn this from a teacher who has to deliver a unit on sustainability or from an individual who is passionate about the environment and whose home and lifestyle attest to his commitment to the environment? Many students, especially those who are poor, intuitively know what the schools do for them. They school them to confuse process and substance. Once these become blurred, a new logic is assumed: the more treatment there is, the better are the results; or, escalation leads to success. The pupil is thereby "schooled" to confuse teaching with learning, grade advancement with education, a diploma with competence, and fluency with the ability to say something new. His imagination is "schooled" to accept service in place of value (Illich, 1973). should be able to meet around a problem chosen and defined by their won initiative. Creative, exploratory learning requires peers currently puzzled about the same terms or problems. Large universities make the futile attempt to match them by multiplying their courses, and they generally fail since they are bound to curriculum, course structure, and bureaucratic administration. In schools, including universities, most resources are spent to purchase the time and motivation of a limited number of people to take up predetermined problems in a ritually defined setting. The most radical alternative to school would be a network or service which gave each man the same opportunity to share his current concern with others motivated by the same concern (Illich, 1973). Leigh's project reminds me of some of Illich's alternatives to teaching institutions. Specifically, the family home that he's building can become a place where those who are "currently puzzled about the same terms or problems" can meet outside of institutional constraints and engage in exploratory learning. It's a place that supports what Illich referred to as "life of action:"
I believe that a desirable future depends on our deliberately choosing a life of action over a life of consumption, on our engendering a lifestyle which will enable us to be spontaneous, independent, yet related to each other, rather than maintaining a lifestyle which only allows to make and unmake, produce and consume - a style of life which is merely a way station on the road to the depletion and pollution of the environment. The future depends more upon our choice of institutions which support a life of action than on our developing new ideologies and technologies (Illich, 1973). After numerous conversations with Leigh and after reading his reflections, I see his virtual project as what Illich calls a convivial institution. It's an institution that, unlike school, is not based on coerced membership. Instead, it encourages human interactions that are based on autonomy, creativity, and exploration. I also see Leigh's project as a potential learning web and I'm looking forward to discussing this aspect of his work with him over the next two weeks. If you're interested in Leigh's views on learning and would like to explore his prototype (still in progress), please join us this weekend on the islands of jokaydia (Click here for details).